Before I get into my opening statement on the subject of this morning’s hearing, I want to address a misleading NBC news story from late yesterday that gives the false impression that some Veterans on the GI Bill will not be made whole with respect to their housing payments based on an announcement VA made yesterday. Nothing could be further from the truth. Each and every Veteran on the post-9/11 GI Bill will be made 100 percent whole — retroactively if need be — for their housing benefits for this academic year based on the current uncapped DoD rates, and, beginning in spring 2020, we will be in a position to provide Veterans with the new rates where applicable to meet the law known as the Forever GI Bill. Once again – each and every, and I mean every single Veteran, will be made whole for their housing benefits this year. As we announced yesterday, the rates we are providing are the current academic year uncapped DoD Basic Allowance for Housing rates based on the location of a school’s main campus, rather than the physical location of the student. For many students, this DoD BAH rate will be equal to or higher than their current payment. If a student was overpaid due to the changes in law or because of VBA’s challenges in implementing the law, the student will not be held liable for the debt. 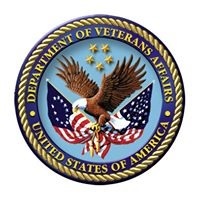 And, starting in the Spring term of 2020, VA will have solved its current technology difficulties so that the department is in a position to provide post-9/11 GI Bill Veterans the new rates, where applicable, to comply with the Forever GI Bill.